Do you picture a hefty, macho looking hunk holding a barbell and sweating profusely in a gym when you read the phrase ‘lifting weights’? When it comes to lifting heavy, women have this preconceived notion that it’s a guy thing. For a woman to get fit, there are other ways like yoga or simple cardio based exercises like jogging or running on a treadmill. Right? Fret not, sister. You are not alone! People, a lot of them being women, undermine the necessity of weight training while working out. It is a common misconception to associate weight loss with the amount of sweat one exudes. This is a myth that needs some real good debunking. WHAT IS THE DIFFERENCE BETWEEN CARDIO AND WEIGHT TRAINING? I know, I know. These are complicated terms for someone who is new to working out, or is far from it. So let’s try and understand each of these concepts and then differentiate between them. Cardio is short for cardiovascular exercise. It is also known as endurance training.Why? Because like the name suggests, it builds your endurance. We know these exercises as jogging, running, swimming, or just the good old walking. You must have heard of aerobics classes. That, my friend, is solid cardio. WHAT DOES IT DO TO MY BODY? It is extremely beneficial for your heart. Since it is an aerobic exercise, it raises your heart rate and proves to be a workout for your heart too. Yes, your heart is indeed a muscle! You need to work it out to keep it healthy and the cardiologists at bay. It helps you lose more calories and maintain a healthy weight. Cardio is non-negotiable if you want lifelong health. Strength training is also known as weight or resistance training. It is an anaerobic exercise. Why? It uses resistance to weight to contract muscles so that strength can be increased. Generally, the use of fitness equipment is required to provide the source of resistance. Like barbells, dumbbells, gym equipment, etc. Examples of strength training are weight training, pilates, yoga or body-weight exercises like sit-ups, push-ups, and pull-ups. Ever felt like you can’t lift heavy boxes like others? That’s because you lack muscle strength. And this is exactly where strength training comes in. Builds strength like no other form of exercise. You will build some considerable strength through regular cardio, but you will lose muscle mass there. Helps build muscle mass and retain it. Promotes healthier sleep patterns and helps cope with depression. Hence, both cardio and strength training are essential for an ideal workout. Incorporation of both of these crucial components into workout routines gives the best results. It is not for men, it is more popular among them. It is done less by women hence, uncommon. Shed this sexist theory, right now. Muscles look good on women too! There is absolutely no difference in the way men and women ‘should’ be training. Sure, our bodies are genetically engineered differently. While a guy may be able to lift heavier or even the same weight as you, he will still get different kinds of results. He has a higher level of testosterone production. Hence, he will build massive muscles and get big and bulky or ripped as they say. In other words, you can’t. Women do not build muscles at the same rate as men. All those women who have veins popping out of them are either lifting heavy all the time or are indulged in the use of supplements. Unless you do that, you are not gonna look like a male WWE contestant. Instead, you are gonna build lean, beautiful muscles that you will love flaunting all the time! Let me stop you right there. There is no such thing as ‘toning’ muscles. Don’t pay heed to those Telebrand commercials. You don’t tone, you build lean muscle. Increased muscle definition and stronger muscles. Stronger bones, which prove their worth at the time of old age. Enhances appearance which in turn, boosts self-confidence. Everybody loves and revers the Bollywood superstar, or Khiladi Akshay Kumar’s physique. Interestingly, he is not a fan of gyms. He believes that one’s own body is enough for workouts. 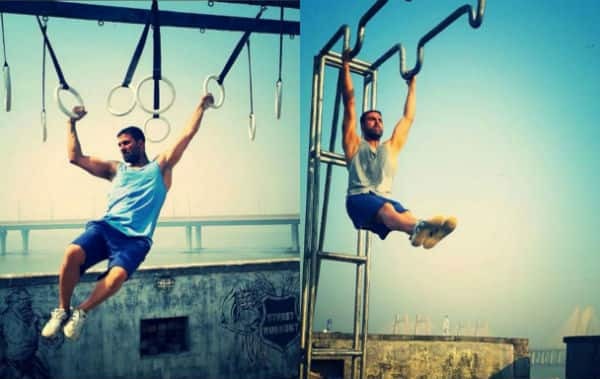 Even when he is shooting and doesn’t have time for working out, he prefers climbing stairs and following simple calisthenic routines. So it is not at all mandatory for you to get a gym membership in order to start strength training. You can simply opt for bodyweight exercises or invest in some home gym equipment. As for protein powder, forget what your trainer tells you. It is just a supplement. It is in no way gonna compensate for the real food sources of protein like chicken or legumes. As long as you eat a lot of those, you don’t need protein powder. Nobody starts off with a 10 kg dumbbell. You slowly ascend the scale. It will be really difficult in the beginning, just like any other form of workout. It will take some getting used to, but once you get the hang of it, you will love it. Even if you don’t like it, don’t worry. Exercise is more about finding your happy place. It’s a lifestyle choice. A commitment you make for life. It’s not done just to look good or just to lose some fat. That will happen if you go without exercising even once in your life and just maintain an uber strict diet. Look at your long-term goal and then find your happy place. If you prefer running to lifting heavy stuff, go for it. More power to you, girl! 5. I HAVE BEEN LIFTING HEAVY FOR MONTHS AND I DON’T SEE RESULTS! That’s because everybody responds to weight training differently. Our bodies are crafted very differently. Add to that, we have different preferences, lives, and struggles. So, there is no ‘master plan’ that just magically works for all women. It’s a hard fact to digest, but you are not gonna transform into a Victoria Secret’s model overnight. It’s gonna take some real hard work, continued dedication, and patience. Results are bound to come. Nutrition plays a very significant role. In fact, 70-80% of the job is accomplished if you follow this tip. You can’t just lift like a maniac in the gym and then satiate your cravings by crashing a McDonald’s right after it. A well balanced healthy diet goes hand in hand with a body that looks and feels like a goddess’. It’s futile. You cannot copy another person’s workout or be intimidated by the number of sets or repetitions he/she can do. Everybody has a different level of fitness and a different goal in mind. Just work for yours. Strength training essentially involves tearing and rebuilding of muscles. Ample amount of rest is required between exercise days to help with that. ‘Deadlift’ can sound scary. Like no, that is something that only men should be doing! It’s not. Once you get the technique and the proper form, you won’t stop. To build more muscle mass, you will need to slowly start lifting heavier than your usual amount. Otherwise, progress will not be your friend. 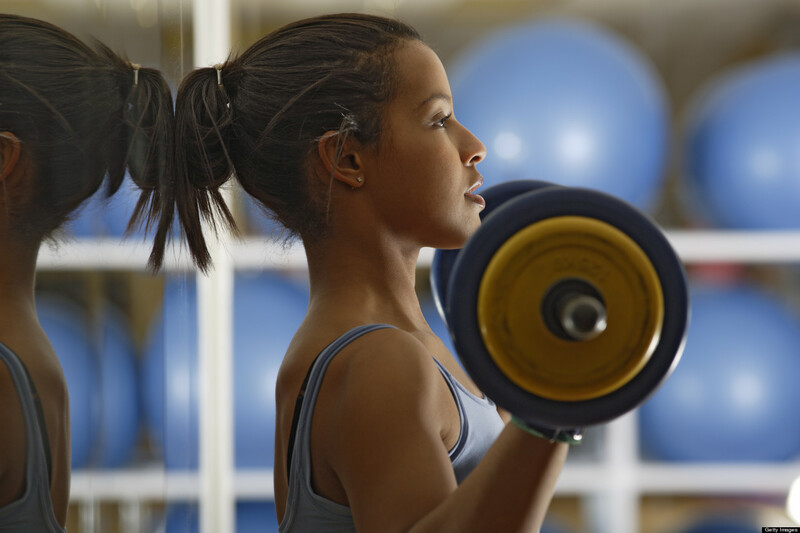 Strength training can effectively help you accentuate and build your curves. Due to which, you actually end up looking way more feminine instead of looking like The Hulk. If you want curves, this is a surefire way to go. Nobody wants de-motivation while in the process of achieving something. Don’t you be stepping on the scale to see how many pounds you lost every two days? Instead, maintain a calendar and track monthly changes. All of us have these days from time to time. We may not feel like working out for whatever reason it may be. It’s okay to skip a day or two but don’t create a long gap. Sometimes, you will feel like working out after a little warm-up. You will realize that it actually diverts your attention and helps you release stress. So, always go for a light warm-up first. Don’t be running miles on your rest days thinking that this will fasten your weight loss. If anything, it delays that process. Limit it for the best results. Before stepping into your gym shoes, make sure you have well-defined goals set beforehand. Also, don’t set goals that are too crazy. You know your capabilities the best. Fitness regimens are built not for a particular month or year, but for life. Think of it as any other routine activity like bathing or brushing your teeth. Incorporate it into your routine in such a manner that you can’t go too long without it. Understand that tomorrow this strength will come handy when you are playing with your grandchildren in a park or are climbing a flight of stairs at the age of 60. Looks will fade. Strength shall remain. So squat away, sister. And not just while sitting down for a meal! What Are The Akashic Records? Why Are They Important ?